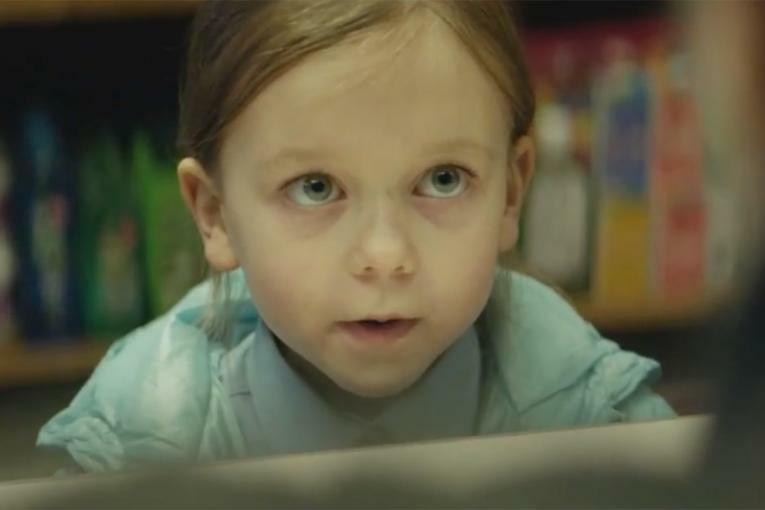 Cadbury Dairy Milk's latest spot from Fallon London manages to make us feel both sorry for, and inspired by, a sad, grubby grille pet. 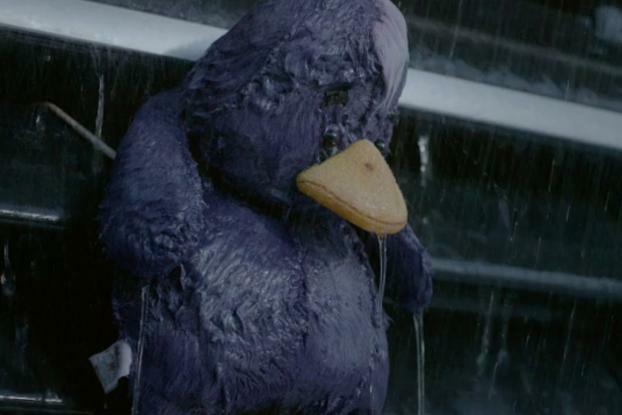 The TV ad, which breaks tonight introducing the brand's latest product launch, Cadbury Dairy Millk Puddles, tells the story of a purple stuffed duck subjected to rain, snow, traffic fumes and mud as he's driven around the country on a truck's grille. However, as the rain clears he starts to perk up and find joy in the reflections he sees in puddles. The song "Bring me Sunshine" (sung by iconic British '70s comedians Morecambe and Wise) adds to the feelgood vibe. 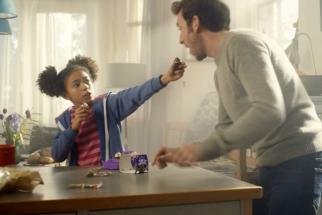 Directed by Us at Academy Films, the spot promotes the brand's first-ever candy bar to contain a soft-centered filling. "Puddles" comes in two flavors, Smooth Mint and Smooth Hazelnut, and each tablet is made up of raised, puddle-shaped blocks, decorated with tiny "ripples."